BARTA are pleased to offer a new CPD workshop designed to give delegates the foundation skills to assist in managing recumbent large animals. The workshop is open to a range of people from veterinarians and veterinary nurses to welfare charities or those managing an animal facility. Featuring techniques that form the cornerstone of preparedness for emergency responders worldwide the workshop is open to those who want to gain a better understanding of assisting large animals in crisis or who are expected to manage recumbent equines or livestock as part of their role. Highly practical using life-size and realistically weighted mannequins, delegates will learn how to manoeuvre large animals manually and on a glide, plus participate in a range of scenarios developed from real life situations. 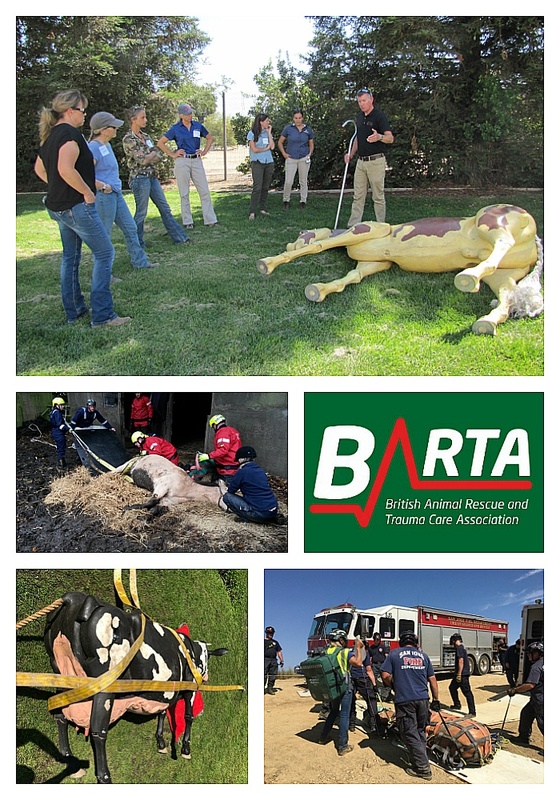 On the day you will be guided by one of BARTA’s experienced animal rescue team leaders and benefit from their experience and insight gained attending incidents involving animals working for the Fire and Rescue Service. Limited to 10 delegates and being offered at the introductory price of just £250 per person (15% discount for BARTA Vets) the day qualifies for 7 hours of CPD. No prerequisite training is required for this workshop; however delegates must be physically fit and capable of carrying out manual handling techniques as part of a team. This course is of a highly practical nature and will involve manual handling of our realistic large animal mannequins (250 kg Horse). A buffet lunch will be provided, please inform us of any particular dietary requirements on booking.